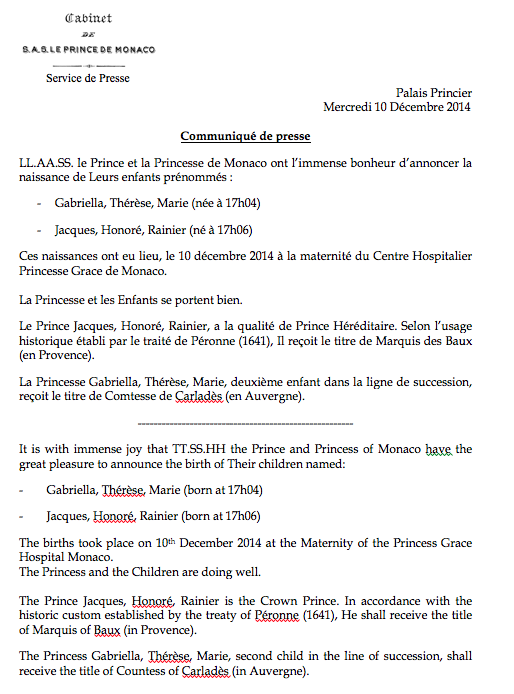 HSH Princess Gabriella Therese Marie of Monaco, Countess of Carlades was born at 5:04 p.m. For two minutes she was the Hereditary Princess of Monaco. At 5:06. the second twin was delivered: HSH Prince Jacques Honoré Rainier was born ... so he is the Hereditary Prince of Monaco and the Marquise de Baux. I'm surprised the palace referred to Prince Jacques as the "Crown Prince" in the English version. I remember Prince Albert once explaining (maybe on Larry King?) that he was the Hereditary Prince, not the Crown Prince. i wonder if the doctor performing the delivery had a choice as to who was born first? obviously i'm no doctor, but in my mind, the way i picture it, the baby who was "on top" or closest to the incision would be the one who would've been born second if the delivery had been natural. if so, perhaps the firstborn would've been a boy if not for the surgery. in any case, interesting how it turned out - i wonder if it will spark any sort of discussion or debate in Monaco about their laws? 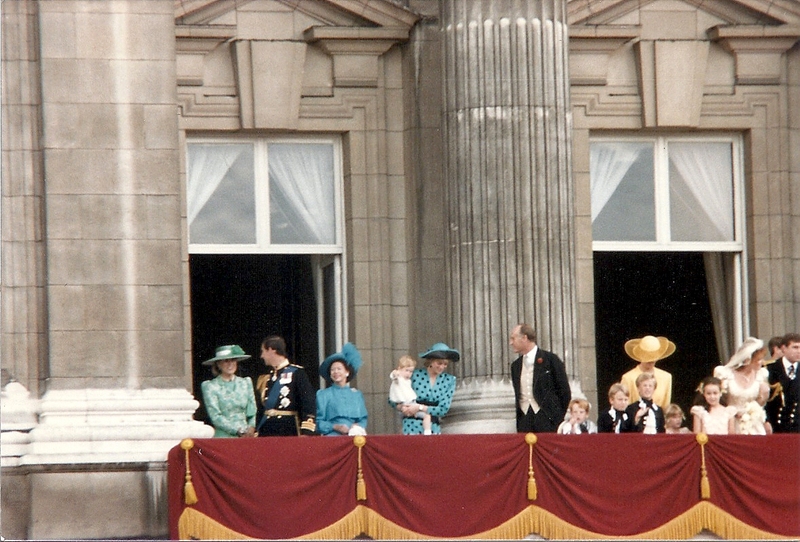 any idea if the prince's two illegitimate children will meet their half-siblings? i can't seem to find much online in regards to what type of relationship he has with them, if any at all. there isn't much about the son, and the daughter's "discovery" by the media several years back left some articles behind but not much recent. Albert has limited contact with his older children, but pays support.